Vitality Chiropractic is the family wellness practice of Dr. Kris Brew. Dr. Brew’s goal as a chiropractor is to educate and empower people with an understanding of how the human body functions so that wise decisions can be made about their health and well-being. She lives and works to encourage people to lead healthier and happier lives. 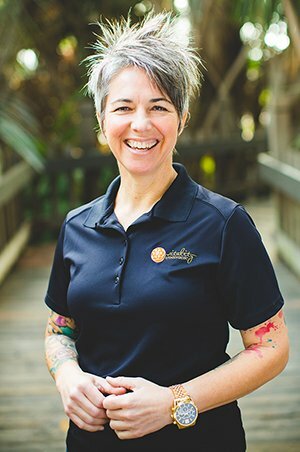 Her lifelong mission is to educate her community on the benefits of leading a healthy lifestyle that incorporates chiropractic care, as well as to inspire and motivate others to achieve their personal health goals. Dr. Brew is committed to providing gentle and effective chiropractic care for the whole family. As a member of the International Chiropractic Pediatric Association and California Chiropractic Association, she is committed to a lifetime of learning through ongoing studies. Dr. Brew graduated with academic honors from Life Chiropractic College West in Hayward, California and also holds a Bachelor of Arts degree from California State University at Fullerton. She is committed and passionate about helping everyone get and stay well so they can experience the health they deserve. When she’s not in the office, she enjoys spending time with her family, playing and listening to music and enjoying our beautiful city of San Diego.